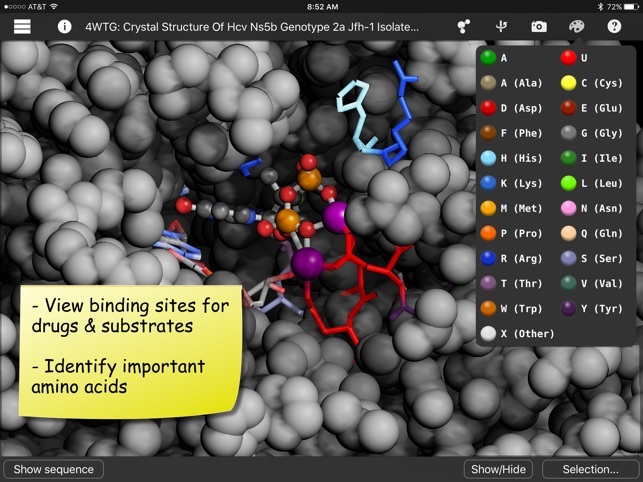 "The Molecule World app is a very nice molecule-viewing app that offers additional features not found in similar products." Created with funding from the National Science Foundation, and an Innovation Award from Shoreline Community College, Molecule World™ is the perfect tool for learning about molecules and their properties and the best tool for teachers who wish to use molecular and chemical modeling in class. 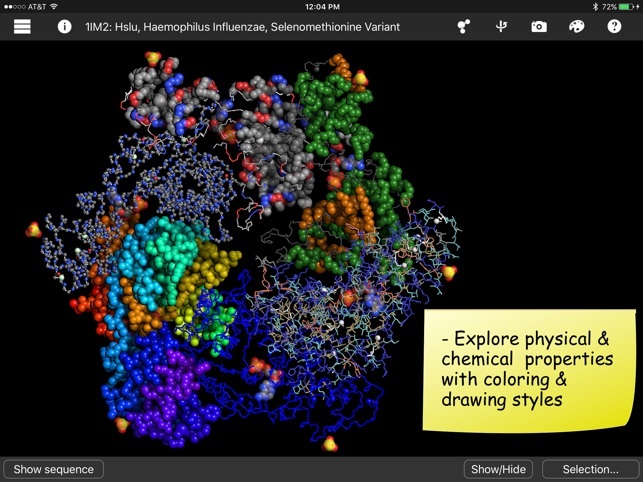 A user-friendly interface, gorgeous interactive molecules, and intuitive controls entice students and scientists to explore 3D chemicals, proteins, and DNA. Perfect for students, science lovers, and anyone who appreciates the science and art of molecular structures. This easy to use app is appropriate for students of all ages, from middle school to graduate school and beyond. 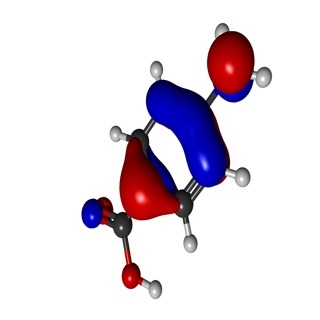 – Interact with molecules to turn them around and change their size. 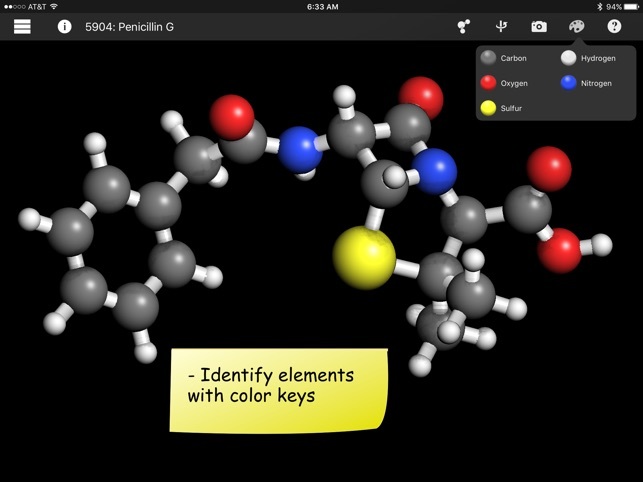 – Experiment with different drawing and coloring styles to discover chemical properties and sequence information. 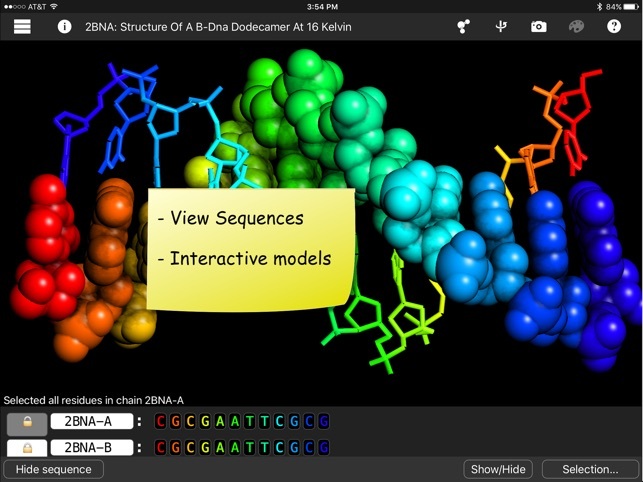 – View the molecular sequences of protein, DNA, and RNA, and use the sequence to control the display. – Identify different elements, investigate charge, residues, hydrophobicity, view secondary structure, individual chains, and position. Collections of molecules make it easier to design and carry out lessons with customized sets of chemicals and molecular structures. 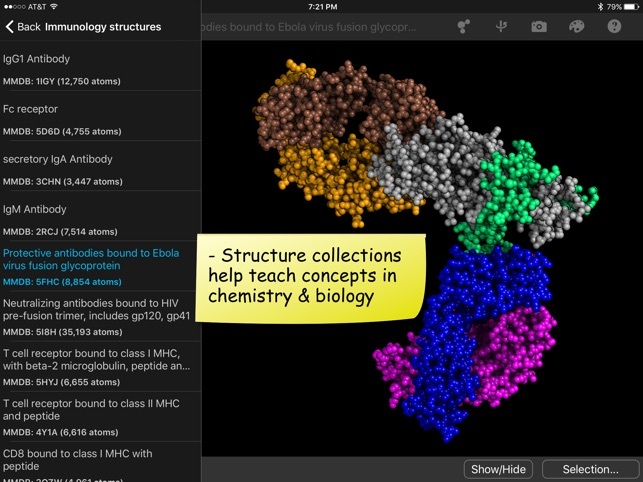 Teaching activities from Digital World Biology LLC highlight different ways to use Molecule World and interesting topics to explore ranging from finding drugs to treat Zika virus to learning about genome editing tools like CRISPR and Cas. If you like Molecule World, don't forget to rate it and leave a review. Fixed hydrophobicity coloring for proline. I need to evaluate HLA molecules. This requires downloading Rasmol script files. Sandra at Molecule World helped me to set this up. Great app with great support! What a great app! Much better than previous versions I've had. My students love all the color options and rotation axes. Clearly highlights secondary structures, user friendly, educational and fun!